Month-long celebration of fall’s favorite holiday to take place October 1 through October 31st. 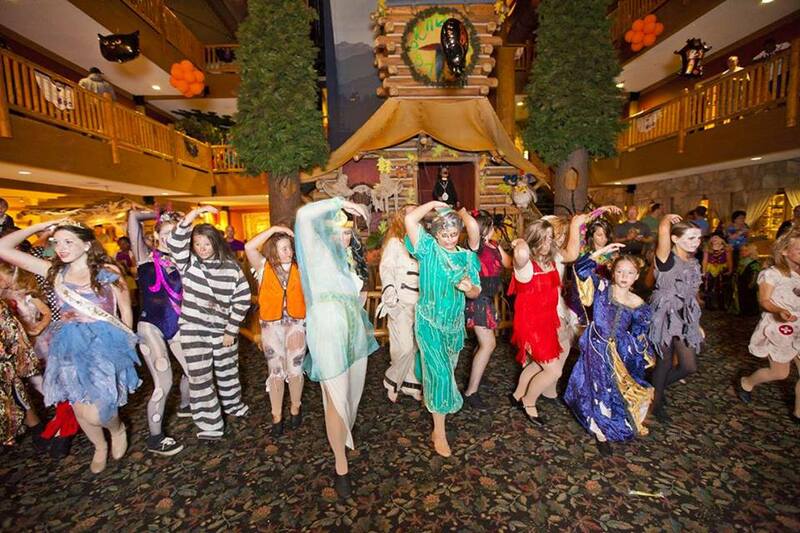 Families staying at Great Wolf Lodge will have an unboolievable time celebrating the season as Howl-O-Ween returns with newly enhanced activities October 1 – 31, 2017. We have mentioned that we love how GWL is year-round family fun and the seasonal events bring out that extra Wolftastic Howl in us all! From the popular Trick-or-Treat trail and the Howl-O-Ween House to Monster Bash Dance Parties and more, Howl-O-Ween will get the whole family in the spirit. Queen Mary's CHILL Brings New International Holiday Experiences Plus Discount Code! Oh my Winter Goodness!! Have you heard the exciting news about The Queen Mary's CHILL? 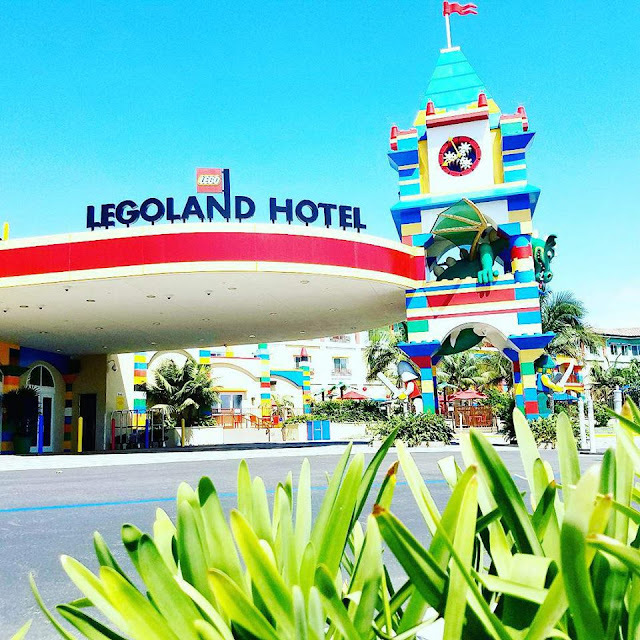 Queen Mary is bringing an International Holiday Adventure Park to CHILL!! 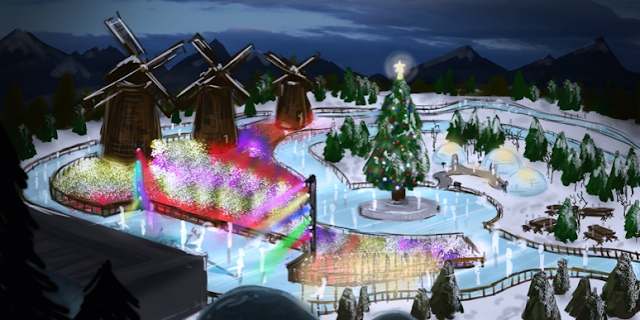 Embark on an International Holiday Expedition at The Queen Mary’s All-New CHILL from December 13 – January 7 - First-Ever Ice Adventure Park in U.S. ! Yummy Yummy Yummy... We Love Jimboy's Tacos! It really is no secret that we fill our bellies with the tasty goodness of Jimboy's often. I love introducing the Original American Taco to everyone. The taste is unique to SoCal and is as fresh as it was when the eatery started over 60 years ago! With all the amazing tastes they offer at their locations it just isn't enough! I mean we need a Jomboy's on like every street.... well that is what would make my taco cravings happy. 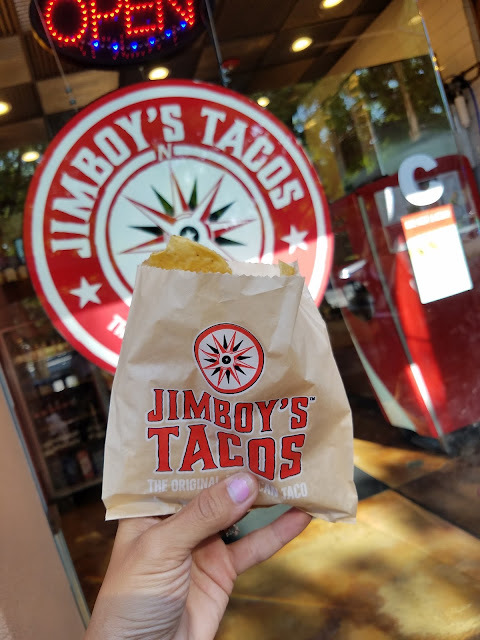 Oh but did you hear the news... because of the popularity Jimboy's has had and has continued to grow, 20 more Jimboy's locations will be popping up all over SoCal! The Queen Mary’s Monthly Concert Series Returns September 21!! The Queen Mary’s Monthly Concert Series Returns September 21 with Local Band Hangout Going Reggae! For those of you looking for fun, random date night ideas, girls night out, guys night out or just some music... it's all returning to The Observation Bar & Art Deco Lounge - The Queen Mary. Hot off the press.... all the deets to the Monthly Concert Series! 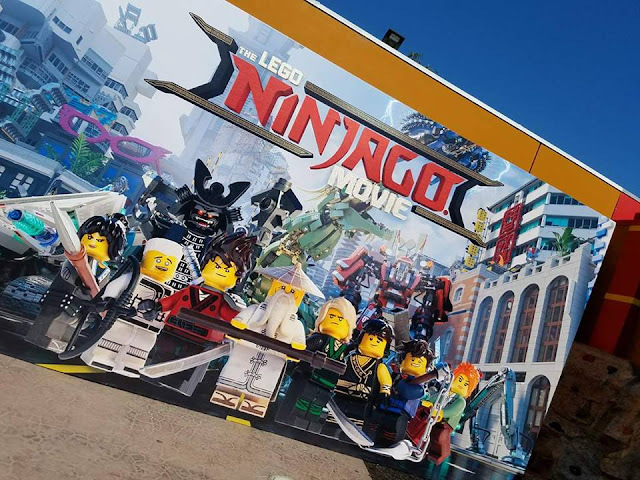 LEGO NINJAGO Movie is brilliantly done. From the cast that plays each defining character to the master builder seen in us all, LEGO NINJAGO Movie is now one of our top favs ever. Since this was my first movie junket I wanted to really express how grateful I am to have attended with my kiddos. 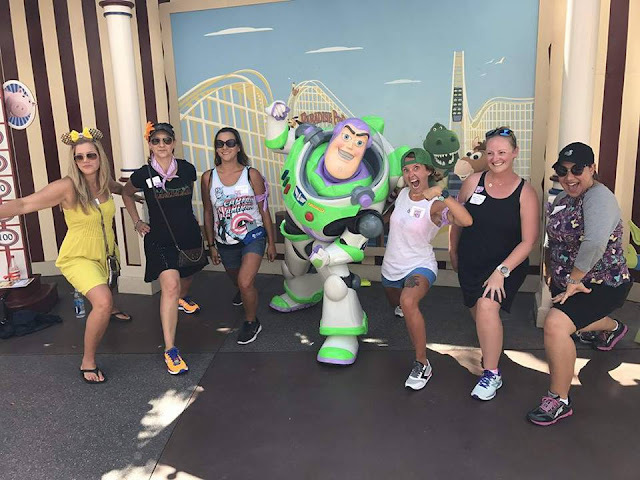 It is not always easy to travel alone with the kids and with Autism on hand but I have to give a MAJOR HUGE shout out to those who hosted us. Everything was really well done, kid friendly and I felt comfortable being with out my husband knowing the event was all about families! Where do I begin when everything was awesome!? 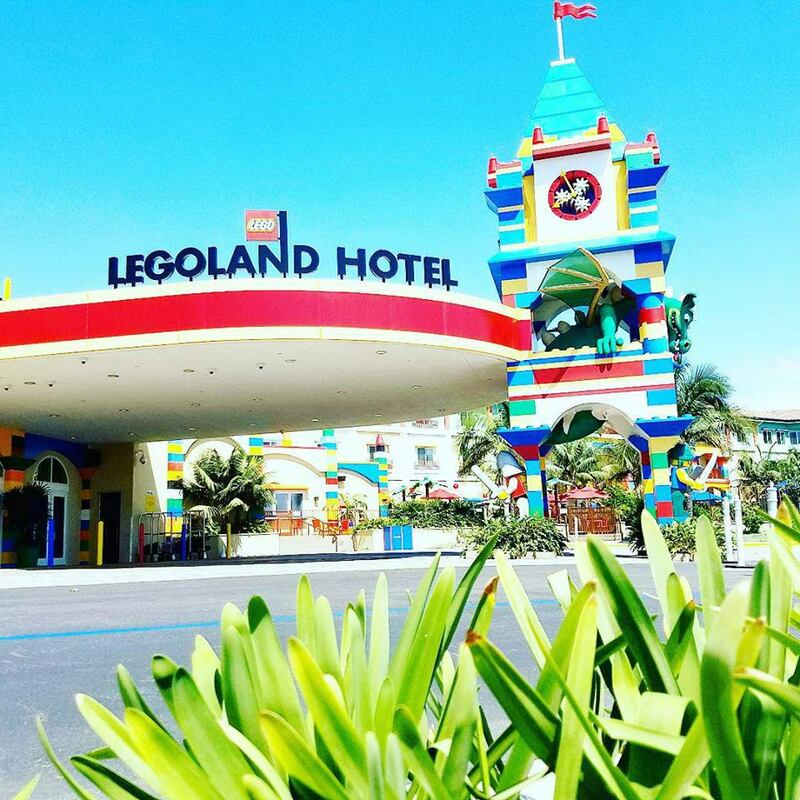 We checked into the LEGOLAND Hotel for the first time ever. My kids were so impressed with the interior I am sure we could have just stayed there the whole time. 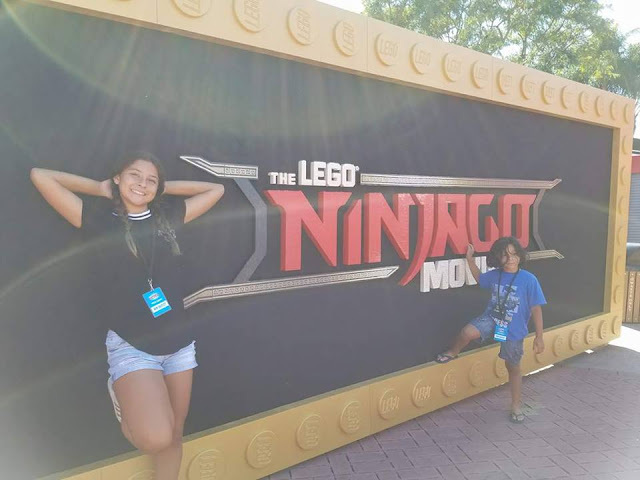 But... then they saw all the NINJAGO happenings! We met up with some new friends too and introduced the kids and everyone hit it off. It was almost like they knew Lego Friends are great friends. 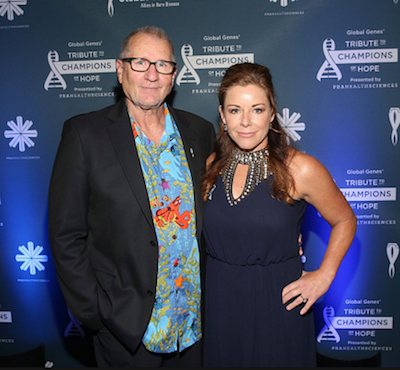 Global Genes' annual RARE Tribute to Champions of Hope September 16th. For the 6th year, the tribute will honor rare disease champions from all over the world that face and overcome challenges they face with rare diseases. They like to say its like the Academy Awards for rare diseases. I have a soft spot for this organization since my dear friend of over 25 years has a child of her own with a rare disease. I wrote a heartfelt post on this week girl and my friends lovely family last year. You can read that here. 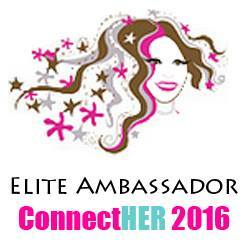 I love to share the opportunity to give back, support or attend such amazing events. Everything is Always Awesome at Legoland CA! 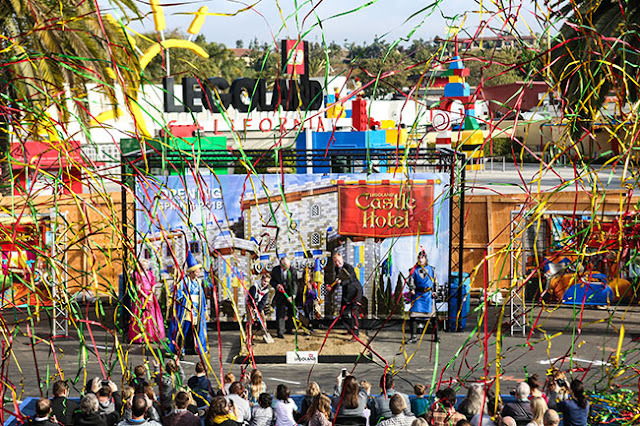 We mentioned a few months ago that the new Legoland CA Castle Hotel will be debuting in 2018 but did you know that you can make reservations now!? 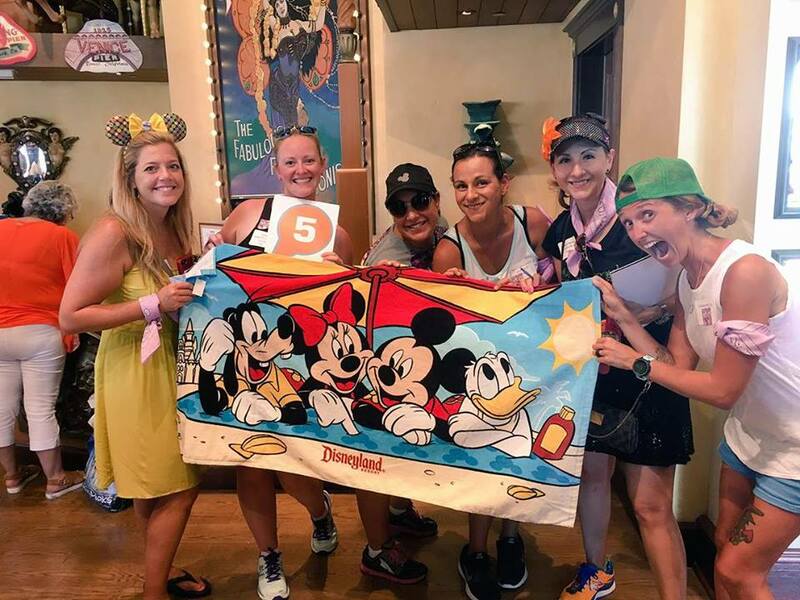 Get all the details on reserving your room stay starting May 11th 2018 here! But that's not all... the Master Builders are fast at work engineering some major excitement and thrills. Cigna Great Race Recap Supporting Disneyland Half - Run Disney! 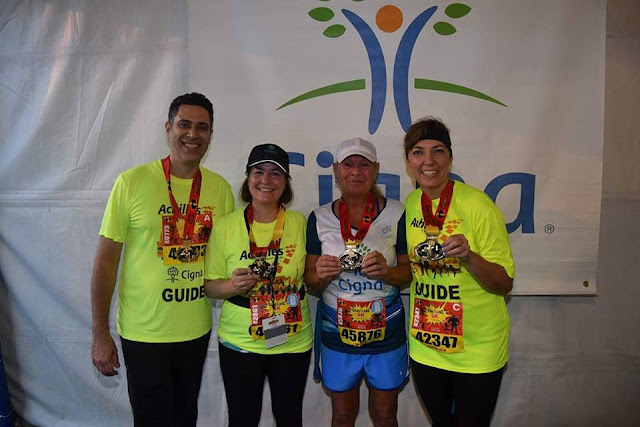 Cigna Run Together Meet Up! Huge shout out and thank you to Cigna for having me out this year for the Cigna Social Great Race. I love that Cigna supports the Disneyland Half Marathon and more. It is important to my family to stay fit, eat healthy and live well. 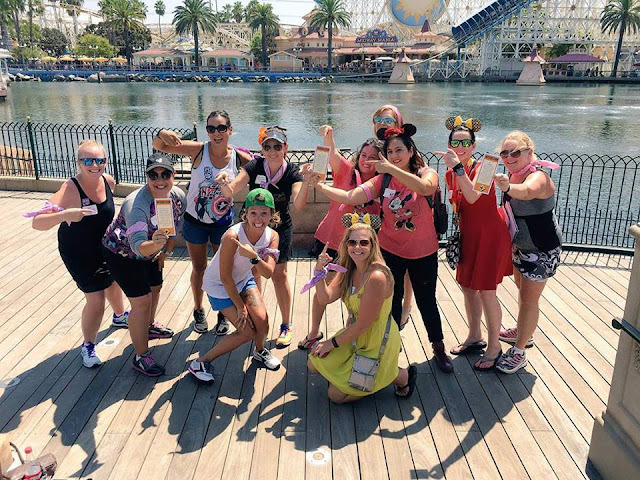 I am so happy that I was able to participate in the Cigna Healthy Coaches fun time inside Disney's California Adventure! There were so many inspirational stories from everyday people that made one step in the right direction to make a change towards a healthier lifestyle and some that are a recovery from an injury. 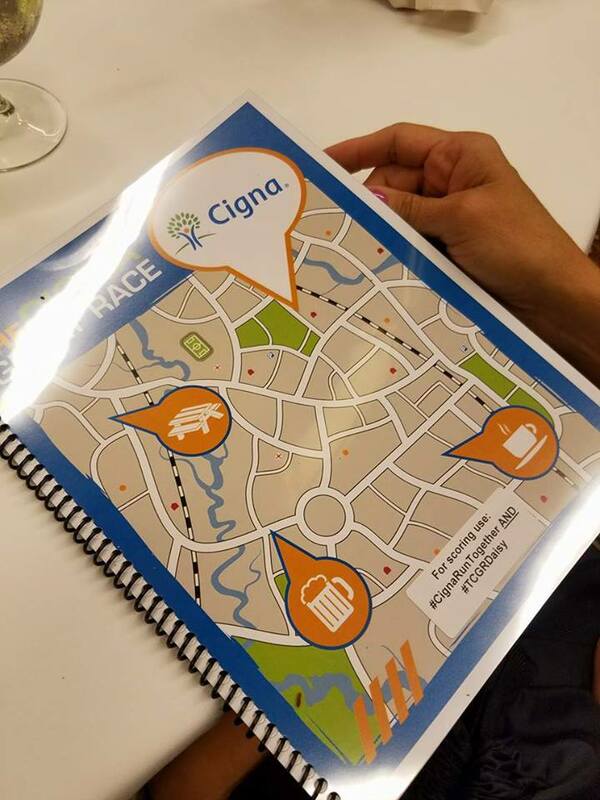 What ever the case may be Cigna has been there to help see their successful goals hit all the way through. 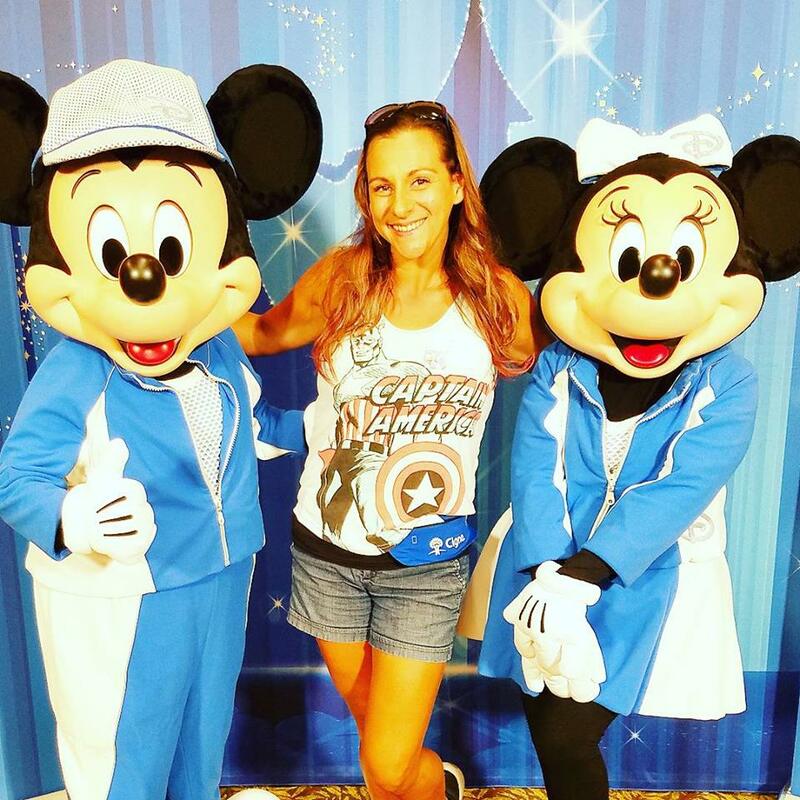 One inspirational story that stuck out to me was that of Mindy Huggins-Collins, a Cigna Disability Customer, who participates in the Disneyland 5K! "For 20 years, Mindy Huggins-Collins, 60 years old and resident of Lancaster, Ohio, found her first love in exercise and healthy living. 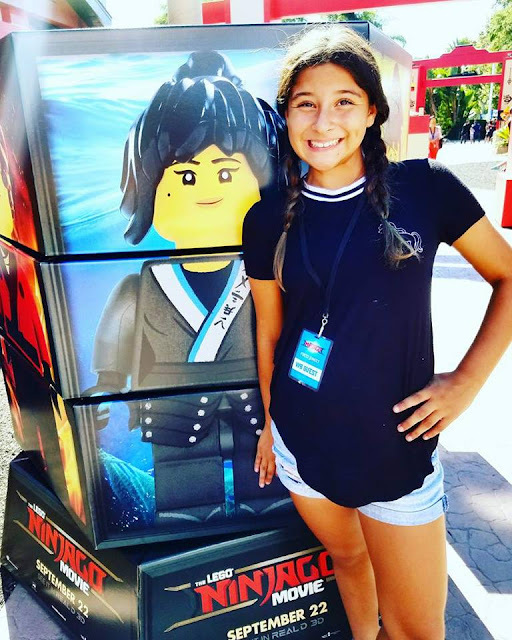 Inspired by her mom, she maintained a weight-training regime that kick-started everyday that made her feel good about herself and provided an athletic high to tackle the day. For someone who works at a home improvement store, Mindy’s strength and positive attitude were important assets. Then, in January 2015, a car accident sent her health down an unexpected path – at least, for a little while. At first, she didn’t realize she had an injury. Mindy felt the pain in her back growing worse. She went to a chiropractor, but found no relief. Ultimately, she met with a surgeon, who found a herniation that would require surgery. Not wanting to sideline her job, she felt she could manage the pain and keep going. Of course, a physical job like hers only brought more pain. By January 2017, she had enough. “ I couldn’t exercise like I once did,” Mindy recalled. “The physical demands of my job became more difficult and it felt like I had to fight with myself just to get up every morning. I wasn’t ‘Mindy’ anymore and that had to change.” After surgery, Mindy’s body needed three months of physical therapy. Near the end of that period in May 2017, Jamie Wiltrout, her Cigna vocational coach, called to offer assistance with getting Mindy what she needed to help her return to work. Every customer’s needs are different and Mindy needed a training program to rebuild her strength as well as help managing the process to return to work with her employer. Knowing that our social support goes a long way for others to catch a glimpse into the attention and care that Cigna provides is so meaningful to me. 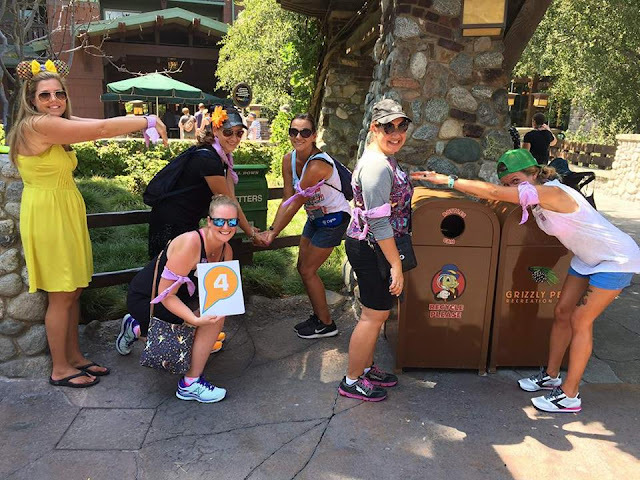 It was such a Magical opportunity to support Cigna and all the Disneyland Half Runners with our Great Race Scavenger Hunt. Here are some of the fun challenges and teamwork games that had to be played and accomplished to get our teamwork working at it's best. 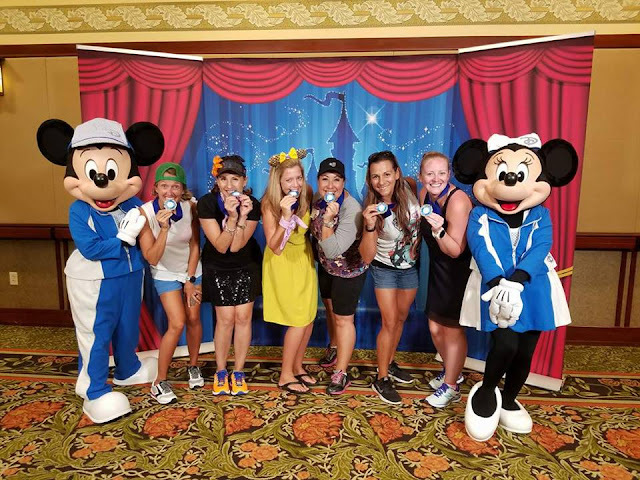 The Cigna Great Race was so much entertaining and I am sure that we had a few people laughing with chEARful fun while we ran around DCA! There were challenges that led to gather teams together to play games to complete tasks too! Solving riddles and puzzles to get to a question to get to an answer... seriously such a great time with new friends! Hey there, Stop for some Lunges with Buzz.. why not! Everyone did a great job and a lot of magical efforts were given by each team... but in the end.. it was Team Daisy for the WIN! Who knew that educating ourselves on marathon's, fitness, wellness, health, running and more would turn into an amazingly great day... I DID... It's Cigna and Disney!! 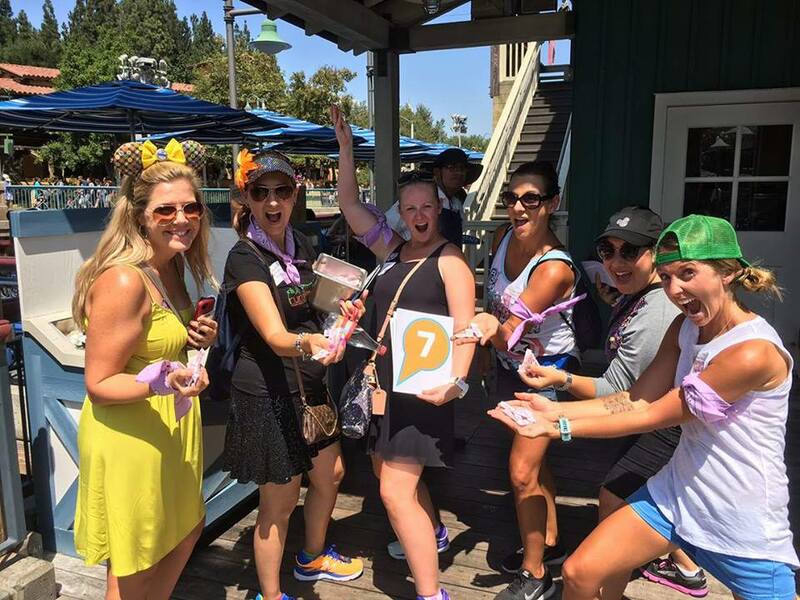 Are you interested in the Cigna Disneyland Half or other Run Disney events?! 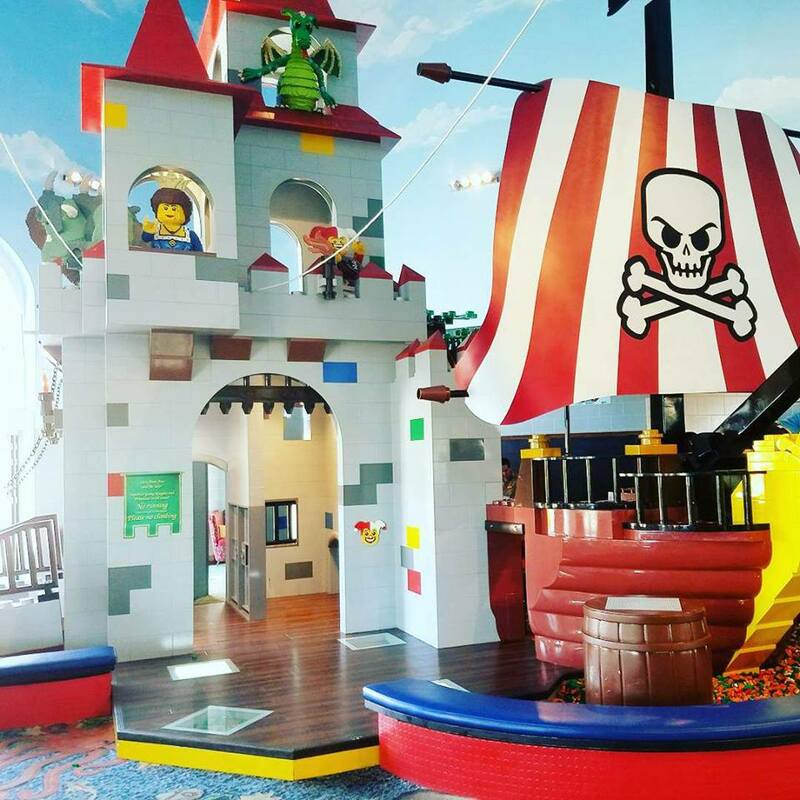 Get all the deets here on how you too can participate in the healthy fun! Get ready to R-U-N ! 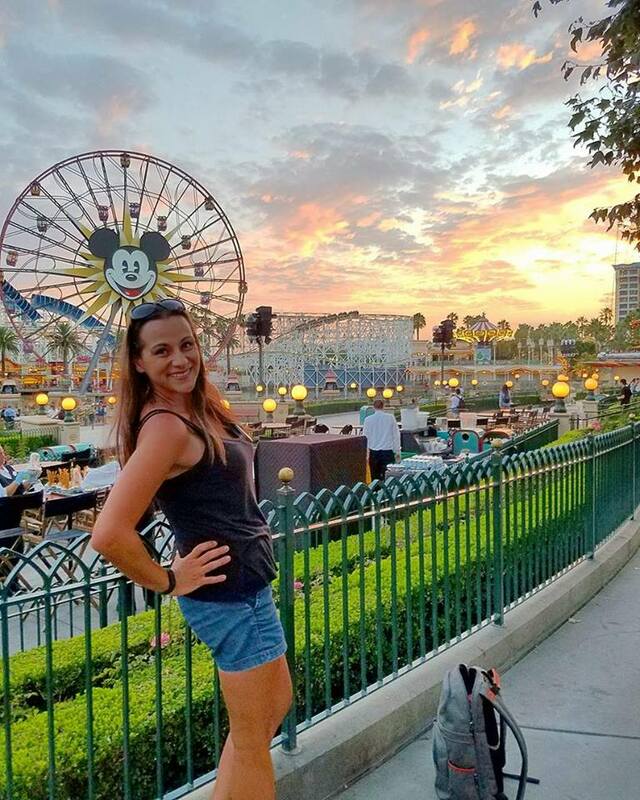 Well.... it was a wonderful day filled with a lot of health tips, new friends and a Magical stroll (or Run hehe) through Disney's California Adventure! 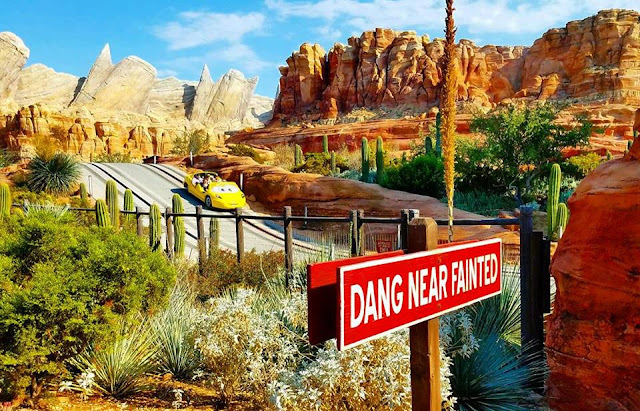 Can not wait until the next Cigna Disney Run event... until then.. "this sign dang near sign says it all, as Mater would say, Ha! 27th CHOC Walk Fills My Heart...Again! 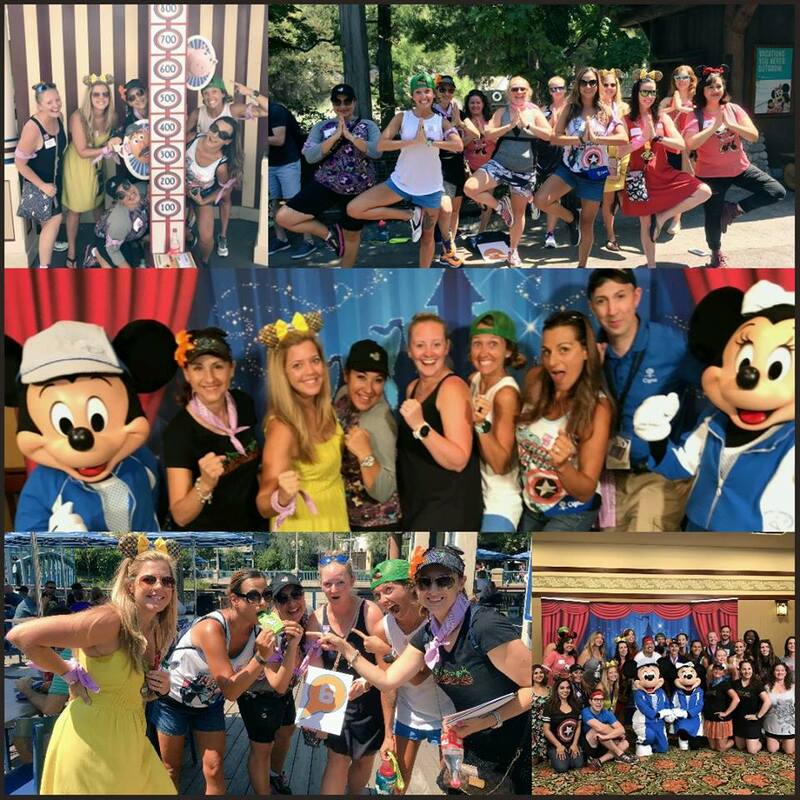 WOW What a Year for CHOCWalk in the Park! 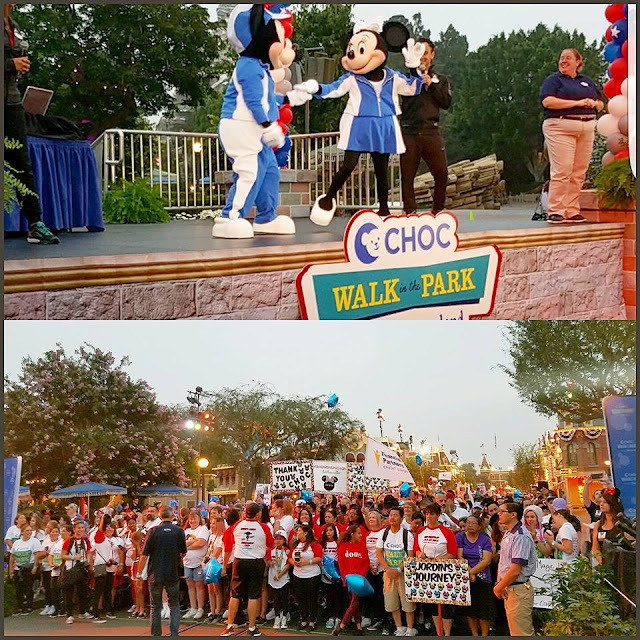 In it's 27th year CHOC Walk in the Park at the Disneyland Resort brought together over 13k physical walkers, 30k combined voluntEARs and over $2 million in fundraising efforts!! I am just amazed yearly as everyone involved gives their all to keep this Magical tradition such a successful event. It's been tradition for us to support CHOC Children's through the CHOC Walk! 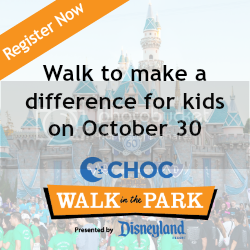 Our family loves to giveback & since there have been a few times CHOC has touched our lives.... the CHOC Walk is a perfect way for us to support. From my nephew being a CHOC Children’s Cancer Survivor to my own daughter seeing endocrinology since she was 4. 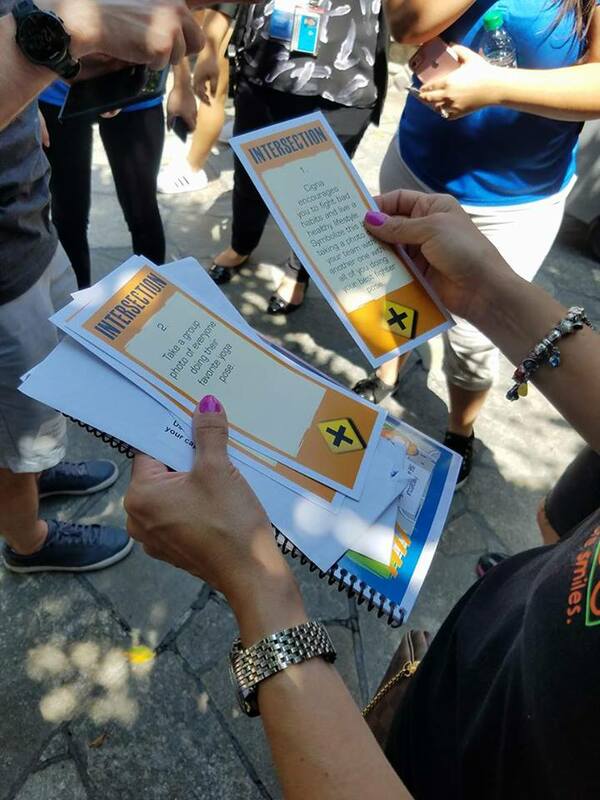 Read more about our past walk experiences here. Thank you CHOC for always being there for so many who need you! CHOC Walk 2017 kicked off with a heart filling and emotionally touching speech made by the ambassador family. Jordyn and her family are beautiful, their love for CHOC is grand and they give back to support those who support them.